The Ram 1500 is a light-duty truck that is popular and reliable, and in 2018 it only gets stronger! It shows up in familiar Regular, Quad, and Crew Cabs, plus can either be 2WD or 4WD. Whether you're towing, hauling, or getting your co-workers to the job-site, this is a serious contender! It has an optional RAM Box system, access to the famous EcoDiesel V-6 engine, a selection of 2 transfer cases, and a patented coil-spring rear suspension that incorporates a quad-corner air suspension. New for 2018, a Limited Tungsten Edition has been created, the Rebel trims now come with factory-installed leather, and the Sport trim exteriors have been evolved further for a clear athletic presence. Hop on up and check this truck out with us! 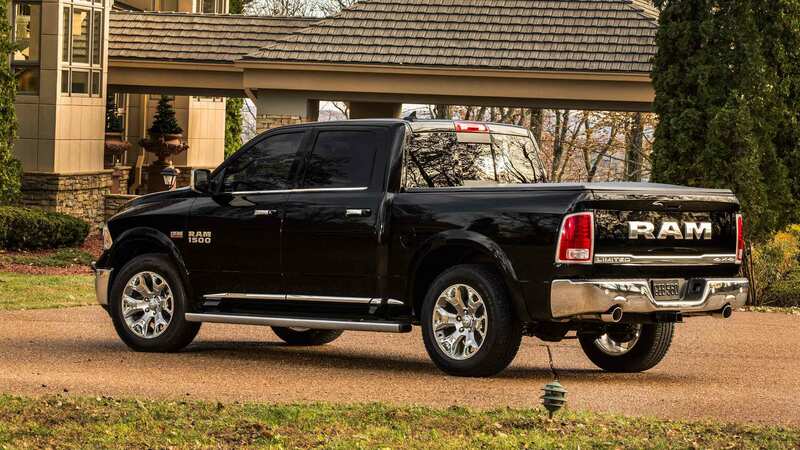 What powers the 2018 RAM 1500? The 2018 RAM 1500 has three impressive engines, so let's get started on those with the 3.6-liter Pentastar V6 which comes standard. This engine brings VVT with a Thermal Management System and generates 305 horsepower and 269 lb-ft of torque. 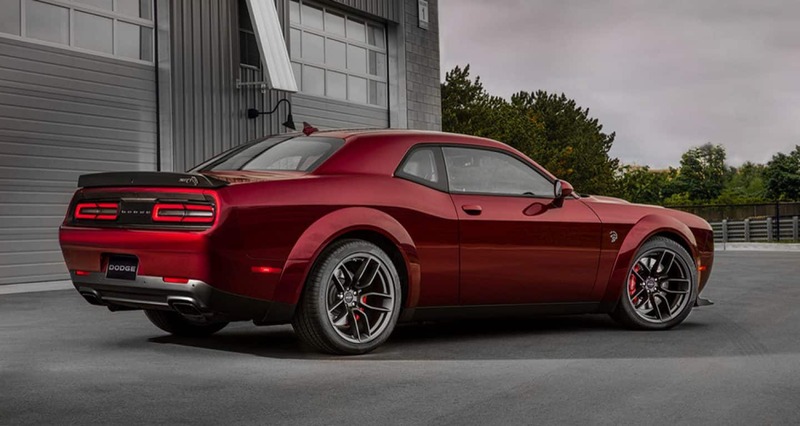 The alternate selection for gasoline engines is a hefty 5.7-liter HEMI V8, which brings 395 horsepower and 410 pound-feet of torque, and expands the 1500's towing capacity up to 10,640-lbs. The third engine is the 3.0-L EcoDiesel V6 engine brings 240 horsepower and a crushing 420 pound-feet of torque (HFE model has it as standard). All engines utilize a TorqueFlite 8-speed automatic transmission that builds-in a thermal control functionality. Breaking this down further, there is an 845RE eight-speed automatic on the 3.6-liter engine, as opposed to the 3.0-L EcoDiesel (& select 5.7-L HEMI V-8 engines), who gain an 8HP70 eight-speed automatic transmission. 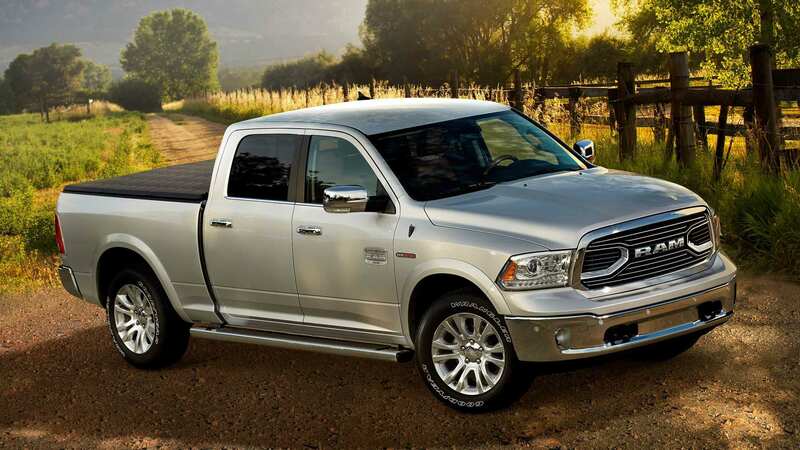 Will you describe the features of the RAM 1500 for a bit? The 2018 Ram 1500 shows up in several different model possibilities: the Tradesman, Big Horn/Lone Star, Lone Star Silver, Express, SLT, HFE (High Fuel Efficiency), Sport, Night, Laramie, Laramie Longhorn, Laramie Limited, Limited Tungsten, and Rebel! 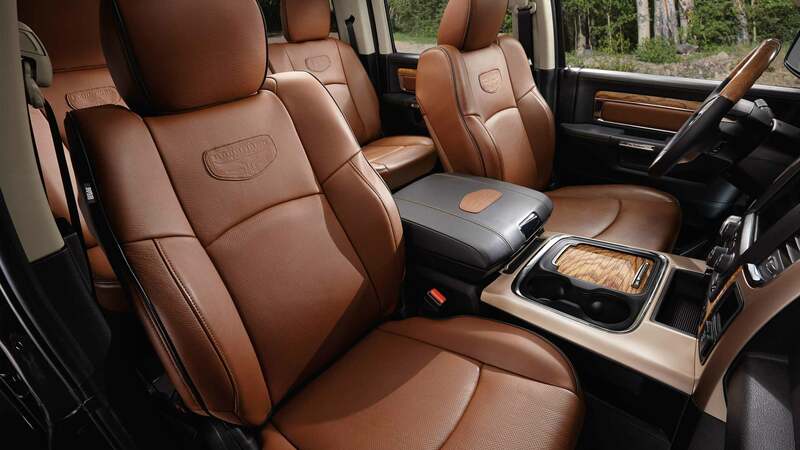 With a standard 40/20/40 split-bench front seat (Crew & Quad Cab models), up to six occupants will fit inside comfortably. 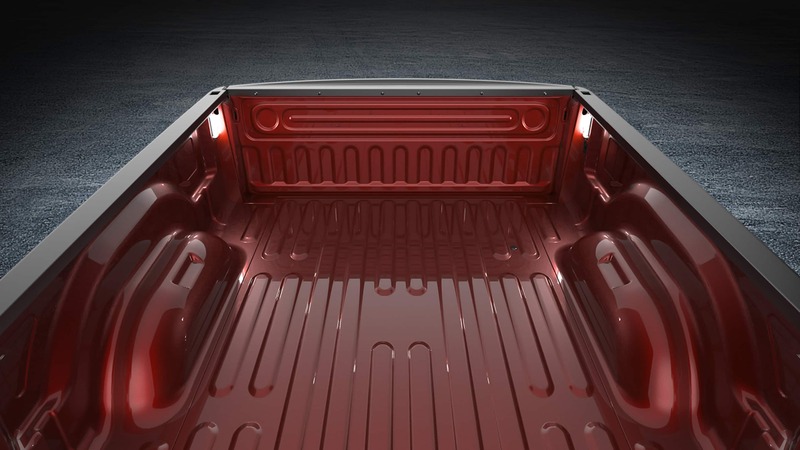 There are 3 truckbed options for the 2018 year, starting with five foot seven inches, then six feet four inches, and then lastly an eight-foot bed. Buyers can have installed, among many other things: a power ten-way driver seat, adjustable pedals with memory, a 6-way power passenger seat, and automatic control for temperature in 2-zones. 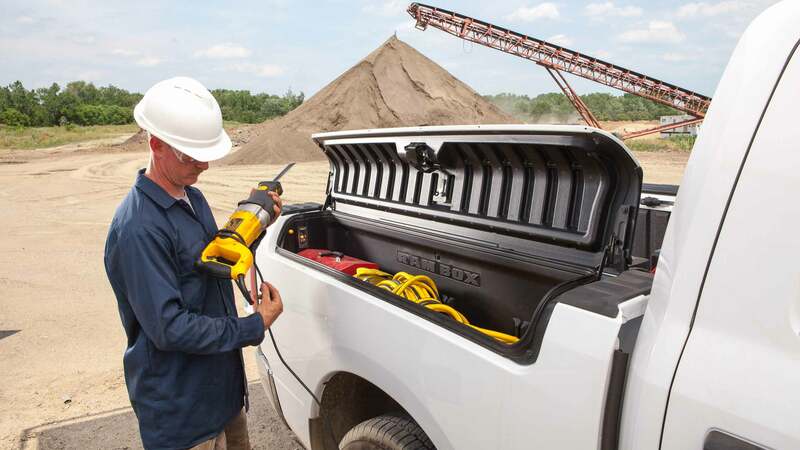 People also enjoy the storage options, like the inherent rear fold-flat floor capability, sophisticated bin locations, and the Ram Box storage system, which is possible to both lock and drain if something spills! Don't miss out on exploring the option for the Active-Level 4-Corner Air Suspension with automatic load leveling that ensures a significantly smooth drive experience, regardless of road quality. There are several Package options to get into, like the Popular Equipment Group, the Luxury Group, and the Power and Remote Entry Group, which has items such as premium vinyl door trim, remote keyless entry, and foldaway power heated mirrors. 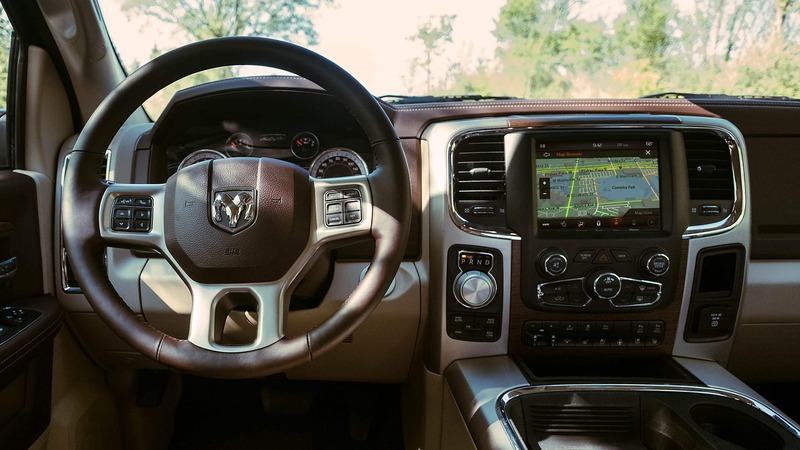 For the audiophiles out there, the 2018 Ram 1500 can have an Alpine 9-speaker premium audio system with a Subwoofer and 12-channel amplifier. What safety features will I find in this powerful vehicle? Putting both optional and standard features together for a minute, there are four-wheel antilock disc brakes, 6 airbags, a security alarm, ParkSense rear park assist, Remote Keyless Entry, and a Trailer Brake Control! You can look forward to an Electronic stability control that contains features such as brake assist, all-­speed traction control, Rain Brake Support, Ready Alert Braking, Electronic Roll Mitigation, Hill-­start Assist and Trailer Sway Damping. Also, keep in mind that there is a fully integrated Trailer brake control that makes trailering easier. 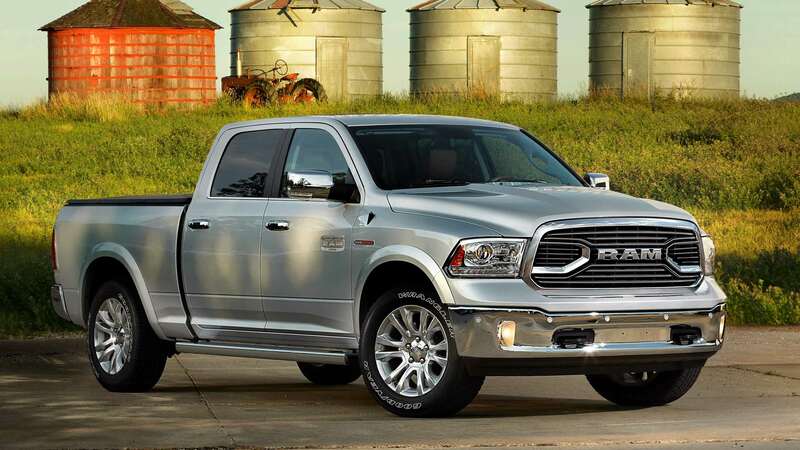 Fresh for 2018 is the fact that all trims utilize a rearview camera as a standard feature, and owners will enjoy as well the Ram 1500 model's High-Strength Steel Frame, an available 'AllSecure' Central Locking System, and 8 sturdy crossmembers. Select models also utilize an 8.4" Uconnect touchscreen system that rocks a USB Flip, Apple CarPlay and Android Auto smartphone integration, 4G LTE, HD Radio, and gesture recognition (pinch, tap, & swipe). New as well for 2018 is an option to get Sirius Guardian, a safety system that accesses Vehicle Finder, an SOS Call functionality, Send and Go, Remote Services, as well as Roadside Assistance. Additionally, there is a Protection Group which contains a front suspension, tow hooks, and transfer case skid plates on the 4x4 setups. All in all, this is the truck to test drive against the others as a benchmark for quality. In 2018, there are even more new features to embrace, like the helpful 'remote exterior switch' which flips on LED bed lights so you can see what you are hauling at night better. Also of note for business owners is an available Fleet Telematics Module that is built-in. But all of those things are cool details to the fact that this vehicle is ready to succeed any hauling, towing, or otherwise rough challenges you dare to throw its way. 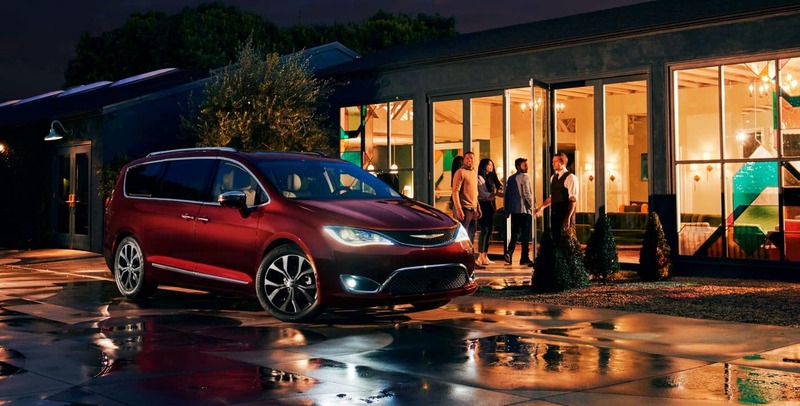 Let's get further into it down here at Buhler Chrysler Jeep Dodge Ram at your next best opportunity!